Radicchio type, forming dense heads of dark red and white colour.. Palla Rossa – aka ‘Red Ball’ – is another excellent chicory from the North-East of Italy around Venice. 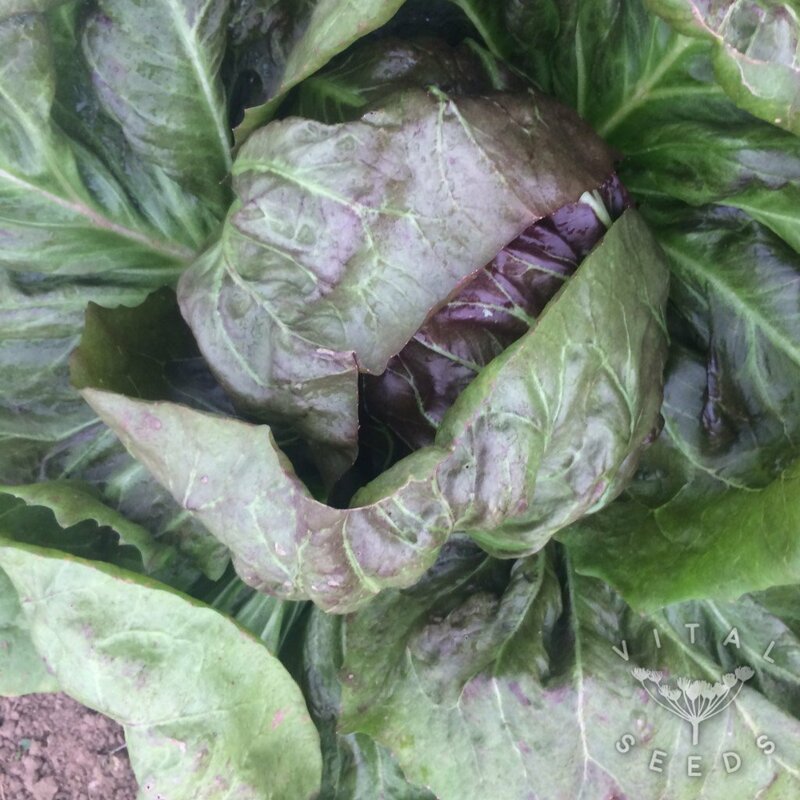 It is a Radicchio, with wonderful vivid colours and sharp differentiation, and is usually left to grow to form mature, dense heads, as the name suggests. 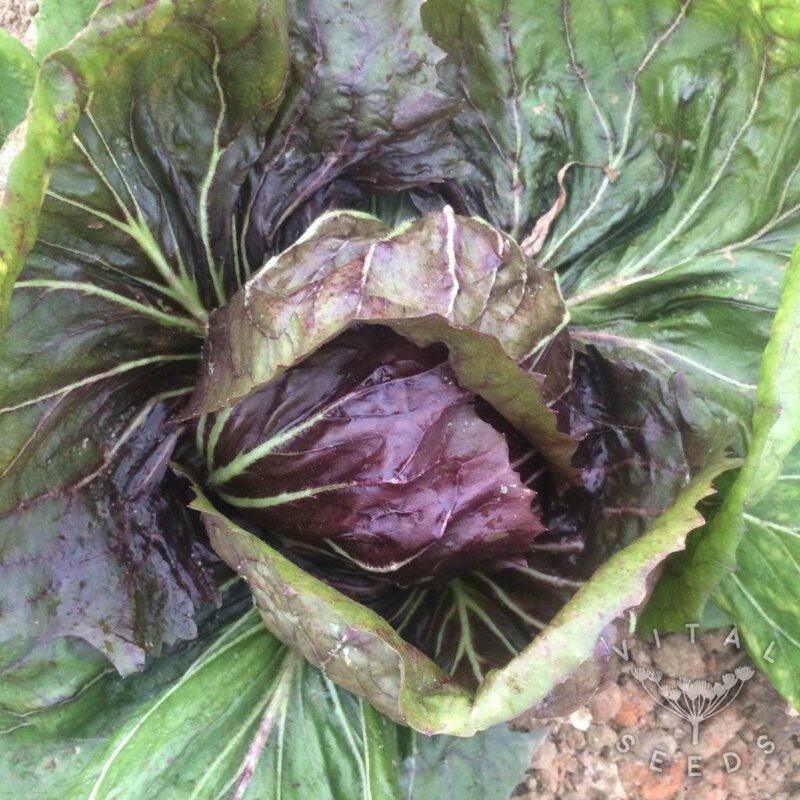 It is also very flavoursome and can well be eaten raw or cooked.